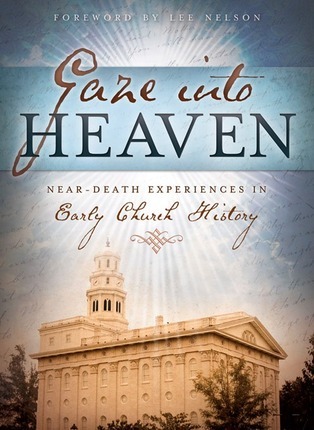 Gaze Into Heaven is a carefully compiled collection of more than 50 near-death experiences that occurred during the early years of the Church. These documented accounts give fascinating glimpses into the Spirit World by those who have actually been there. Besides being filled with stories of insight and inspiration, Gaze Into Heaven has pertinent quotes from latter-day Prophets and other leaders, scriptures, and perceptive commentary. After reading this book, you will never think of life—or death—in the same way. Most of us have wondered exactly what will happen when we die. What does the Spirit World look like? Will we see departed family members and friends? What do people do there? Do spirits there know what is happening on earth? What did people who had near-death experiences learn from their visit? All of these questions and many more are answered in Gaze Into Heaven. There have been many books written about modern day near-death experiences, but Gaze Into Heaven is the first to focus solely on those that took place in early church history. Joseph Smith said; “All men know that they must die . . . it is important that we should understand the reasons . . . of life and of death, and the designs and purposes of God in our coming into the world . . . and our departure hence. . . It is a subject we ought to study more than any other. . . Could you gaze into heaven five minutes, you would know more than you would by reading all that was ever written on the subject.” Joseph Smith, History of the Church, Period I, vol. 6, (Salt Lake City: The Church of Jesus Christ of Latter-day Saints, 9 October, 1843), 50. The Doctrine and Covenants also counsels us to learn more. We are to study “of things both in heaven and in the earth, and under the earth; things which have been, things which are, things which must shortly come to pass.” (D&C 88:79). Studying near-death experiences can bless us with a better understanding of this life and increase our knowledge of the life to come. By reading about those who actually entered the spirit world and saw conditions there, we can benefit from the insights they gained and use that information to reevaluate our lives and use our time on earth productively. Marlene Bateman Sullivan was born in Salt Lake City, Utah and grew up in Sandy, Utah. She graduated from the University of Utah with a Bachelor’s degree in English. She is married to Kelly R. Sullivan and they are the parents of seven children. Her hobbies are gardening, camping, and reading. 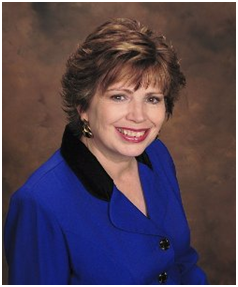 Marlene has been published extensively in magazines and newspapers and has written a number of non-fiction books, including: Latter-day Saint Heroes and Heroines, vol.1, Latter-day Saint Heroes and Heroines, vol. 2, And There Were Angels Among Them, Visit’s From Beyond the Veil, By the Ministering of Angels, and Brigham’s Boys. Marlene also wrote the best-selling novel, Light on Fire Island. To learn more about Marlene and her works you can visit: www.marlenebateman.info.